Two years ago three of Asia’s top art scholars visited the museum to survey the museum’s East Asian paintings acquired through the 2003 purchase of the Richard Lane collection. The survey, which was made possible though a grant from the Korean Cultural Heritage Administration, resulted in the discovery of Scholarly Gathering, an extremely rare 16th-century painting that made international headlines. The unexpected find prompted the group to update the grant to include conservation of this work, along with the folding screen Fish, Birds and Flowers—another priority work discovered in the survey. The grant was quickly approved, and the works were sent to a top-level conservation studio in South Korea. Now the Cultural Heritage Administration is funding the conservation of two additional paintings, one of which is another 16th- to 17th-century landscape that is of comparable significance with Scholarly Gathering. Additionally, a team of scholars with expertise in Korean, Japanese, and Chinese paintings continues the comprehensive survey of every one of the thousands of paintings in the Lane collection. 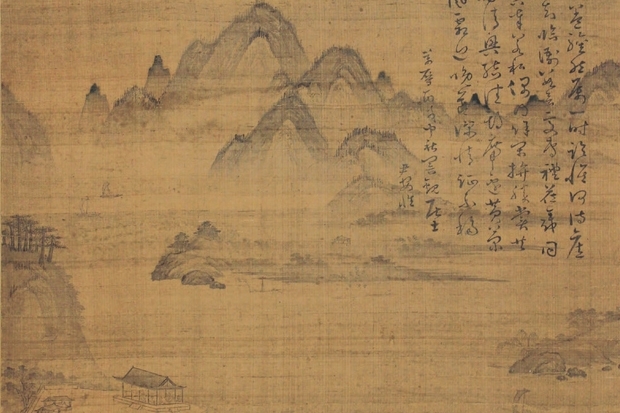 Scholarly Gathering and Fish, Birds and Flowers are on view in the Korean art gallery through May 15. After that, the works will be installed in the gallery on a regular rotating basis.